Thanksgiving to me is all about a big family dinner and cooking my heart out for people I love. 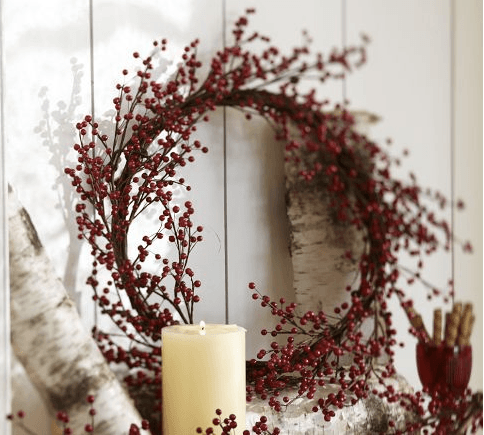 Here are some of my favorite things for decorating your home, cooking the Thanksgiving meal and setting the table this Holiday season. 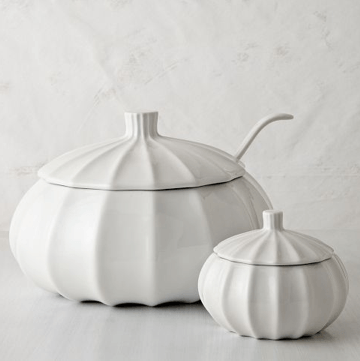 I typically don’t buy many products that I can only use once a year, so most of these products in this Thanksgiving Home Shopping Guide work beyond Thanksgiving. 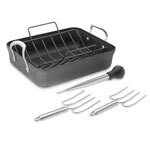 Calphalon Contemporary Nonstick Roaster $79.99 If you buy one thing, let it be this turkey roaster. 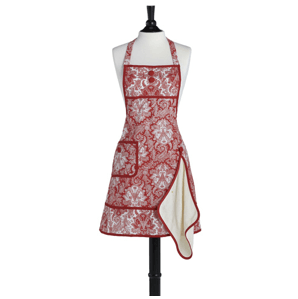 Jessie Steele Gigi Apron $31.95 This cute apron makes it easy to cook and host in style. 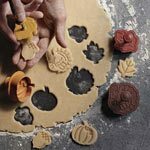 Fall piecrust cutters $19.95 Small details like pictures in pies will make a big difference! 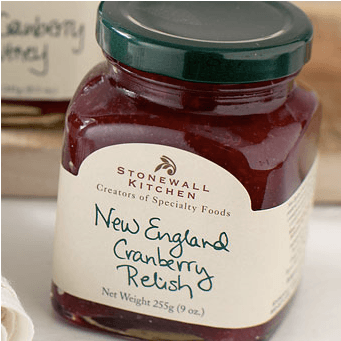 New England Cranberry Relish $5.95 You don’t have to cook everything yourself to make it special, this relish is delish! 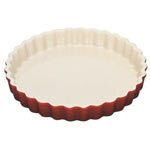 Le Creuset Tart Dish, 9″ $34.99 Because what are Holidays without pies, right? 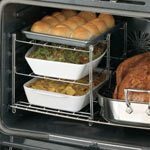 Nifty 3-Tier Oven Companion $17.99 This is an awesome oven rack allowing you to cook or warm several dishes at the same time! 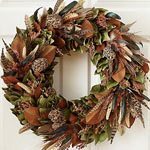 Turkey and Pheasant Feather Wreath $134.99 Gorgeous for traditional home. 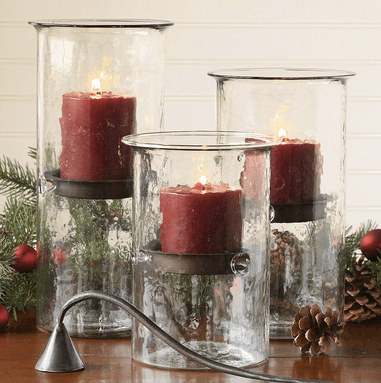 $79.99 (sale price!) 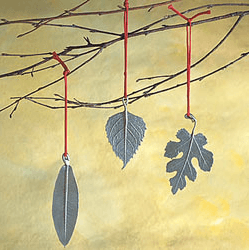 Takes you from Thanksgiving to Christmas! 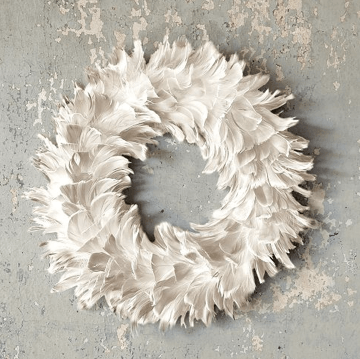 Feather Wreath $19 Perfect for modern home. 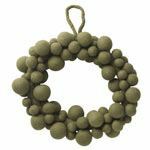 Felt Ball Wreath $39-59, comes in three colors and two sizes. 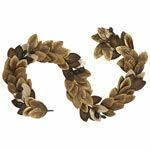 6′ Metallic Leaf Garland $39.95 Gorgeous natural garland with leaves painted with metallic colors. 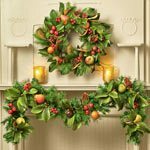 Faux Red Berry Wreath $59.50 Beautiful on the wall, mantel, door or even as a centerpiece and works from Thanksgiving to Christmas. 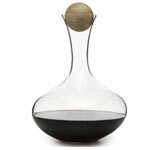 Wine carafe $36 Inexpensive luxury, serve your wine in style. 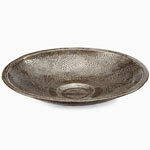 Heart of Haiti Bowl with Textured Hammered Leaf $50 for rustic and earthy look. Handmade in Haiti. 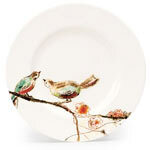 Lenox Simply Fine Dinnerware, Chirp Salad Plate $18.99 (sale price) Perfect plates for fun Holiday table setting. 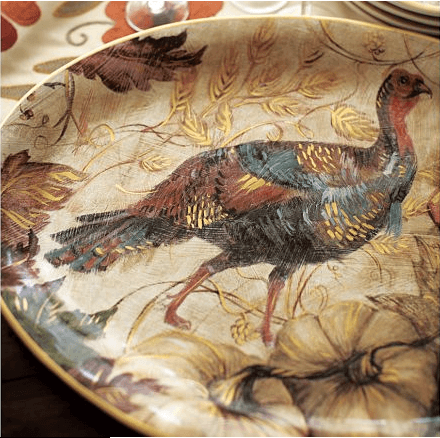 Wild Turkey Porcelain Serving Platter $79 Gorgeous serving platter for Thanksgiving table. 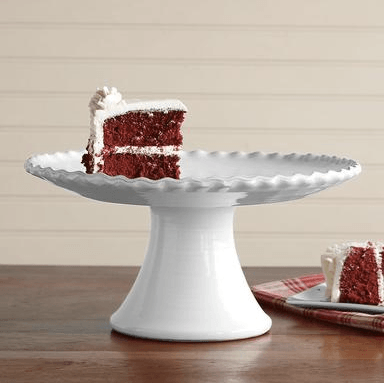 Marimekko Noitarumpu Bowl $19 Bold colors for the season’s table settings. 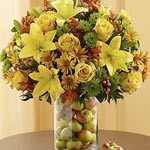 Fruitful Gatherings Bouquet , different sizes, starting $74.99 Fresh flowers always give the nice seasonal look to your home. 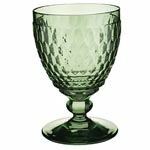 $128 Perfect for longer dark evenings, but work year around. 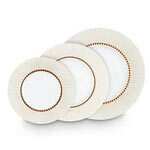 $6.78 each (12 minimum order) Use these as napkin rings that guests can take home. 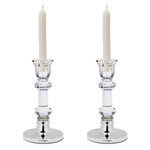 Sterling Silver & Crystal Candlestick Holder $139 There is nothing more elegant than a pair of high quality crystal candlesticks. 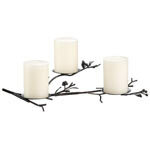 Twiggy Candleholder $24.95 Great candle holder for Holiday table – but works all year round! 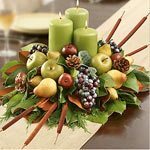 Harvest Suzani Table Runner, $89 Perfect for Thanksgiving table. 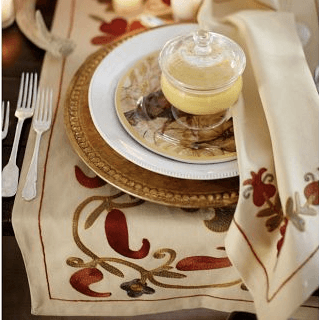 Marimekko Lepo Tablecloth $105 Perfect for Thanksgiving or Christmas! 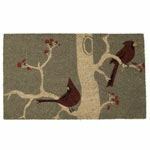 Cardinal Door Mat $38 Welcome colder weather and your guests. 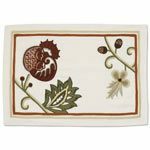 Pomegranate Crewel Place Mats, Set of 4$64.00 Great harvest time place mats that works beyond Thanksgiving dinner. 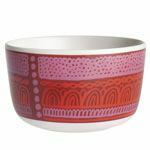 DwellStudio for Target Blossom 7-pc. 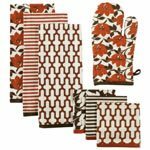 Kitchen Textile Set $19.99 Get the season’s colors to your kitchen! 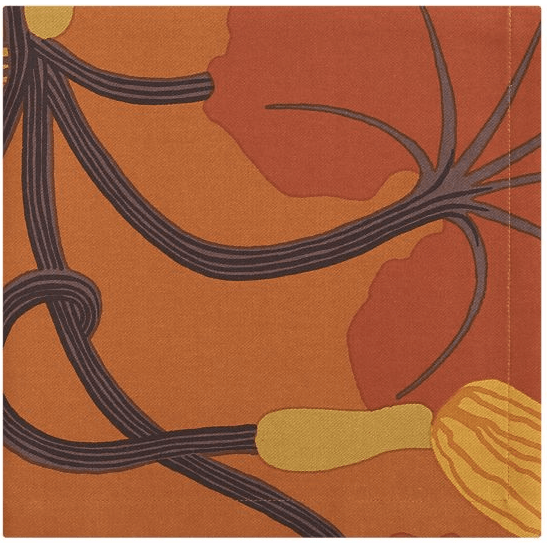 Marimekko Kumina Orange Napkin $8.95 Use white table clothe and let these napkins bring the color! 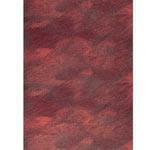 Read the Shopping Guide Disclosure Policy for disclosure information about this page.